The follow up album to 2014's breakthrough I AM KING, FOREVER is heralded by the LP's title track and accompanying official music video. Rolling Stone exclaims, "FOREVER captures some of the most punishing noise the band has recorded to date, featuring songs rife with sudden transitions to still-harsher textures." 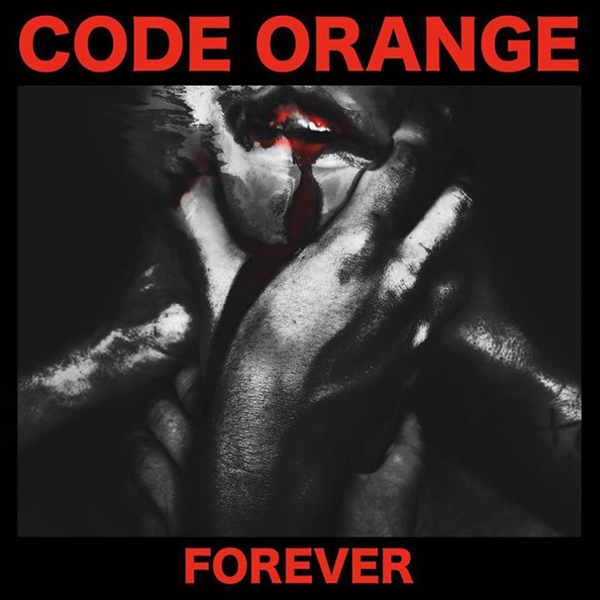 Code Orange drummer / co-vocalist Jami Morgan detailed the band's new LP in an exclusive interview with Rolling Stone stating, "Everywhere we've turned, we've met a lot of 'You're not this enough for this, or that enough for that, FOREVER opens it up by saying, 'F*ck you, we're here. We're gonna do whatever the f*ck we wanna do, and there are no rules.'" Recorded with producers Will Yip at Studio 4 in Conshohocken, PA and Kurt Ballou at GodCity Studios in Salem, MA, FOREVER is a jarring and experimental body of work, pushing the envelope with songs like; "Bleeding In The Blur," "Kill The Creator," and "Spy."